With Washington cracking down on Wall Street, banks are finding more ways to charge customers for services. And one type of fee that is here to stay is the ATM fee. 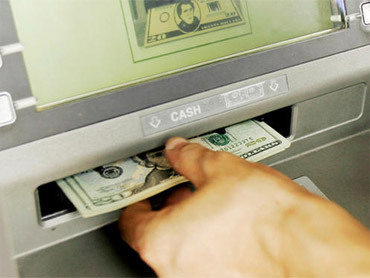 In fact, in 2007, consumers paid more than $4 billion dollars in ATM fees, according to Bankrate.com. Some such fees now run as high as five-to-ten dollars. But there are ways to skirt them altogether, and CBS News Business and Economics correspondent Rebecca Jarvis filled viewers in about them on "The Early Show" Wednesday. On average, the Federal Reserve Board says, banks charge $2.66 every time you use an out-of-network ATM, Your own bank also is quite likely to ding you with an average fee of $1.32 for using someone else's ATM, Bankrate.com notes. And keep in mind -- casinos and airports sometimes charge as much as $5, even $10 per transaction. By their very nature, online banks don't have brick-and-mortar branches. So they actually reimburse you for the withdrawals you make at ATMs. Be sure to look for the reimbursement on your statement at the end of the month. There are several stores that offer a free cash-back service any time you pay with your ATM card -- among them Staples, Rite-Aid, Walgreens, Whole Foods and Best Buy. They allow you to ente a transaction total more than the cost of whatever you're buying, then get the difference back in cash. So, you might want to pop in and pick up some blank CDs or packs of gum or whatever. But take note: There's usually a limit to how much you can withdraw, sometimes $20 to $60. If you use one, try opening up a checking account with them. Like online banks, they will reimburse you for ATM fees. But beware of any brokerage fees. The Mobile Allpoint App, available for iPhone, Blackberry and Android users, hooks you up with some 37,000 surcharge-free ATMS across the country. It's free to download. And use should also use your smartphoens to check your bank's mobile site. You can usually search for a nearby branch right off the app's homepage.